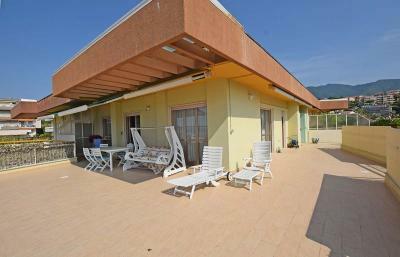 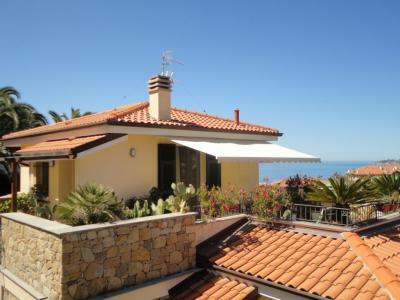 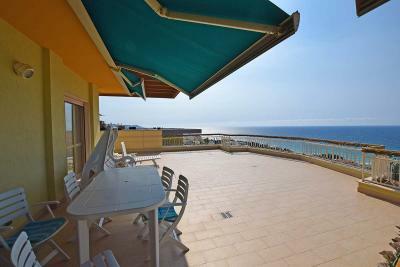 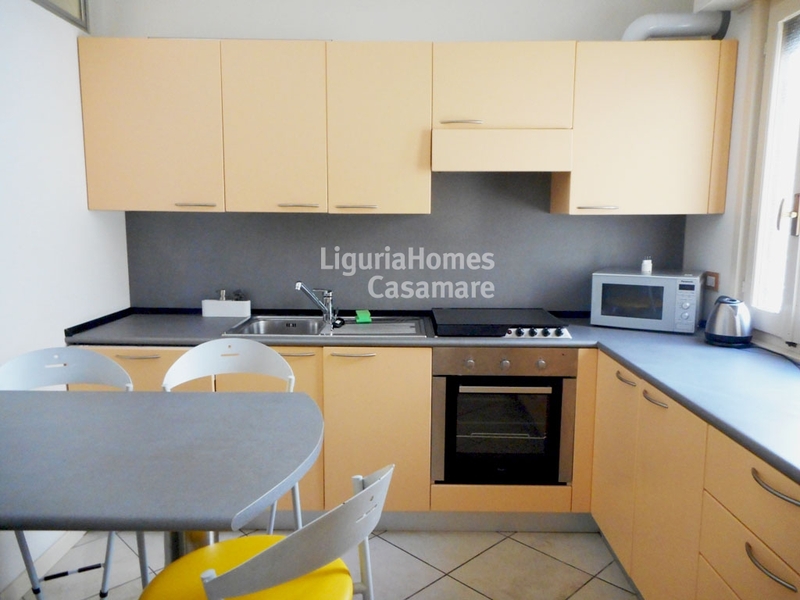 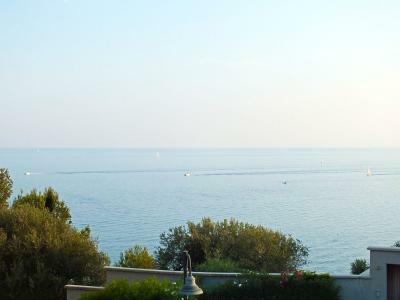 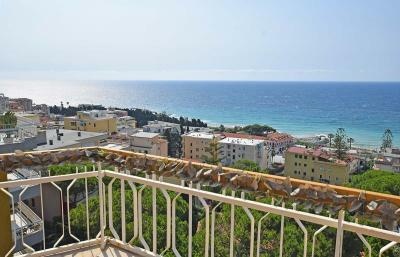 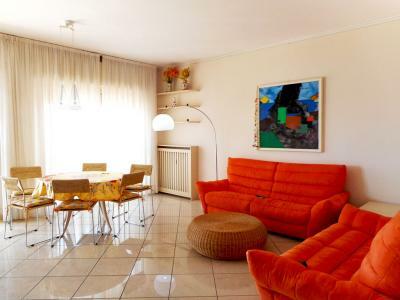 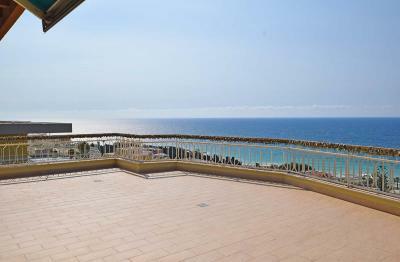 Penthouse Apartment with large terrace and seaview in San Remo, Liguria, Italy. 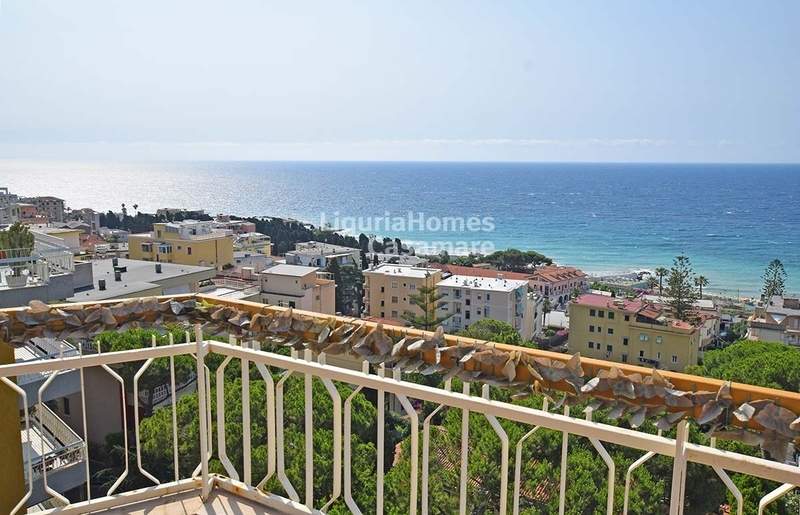 Less than 2 minutes walk from the sandy beach and from shops and restaurants, lovely penthouse Apartment for Sale in San Remo with large panoramic terrace with splendid sea view. 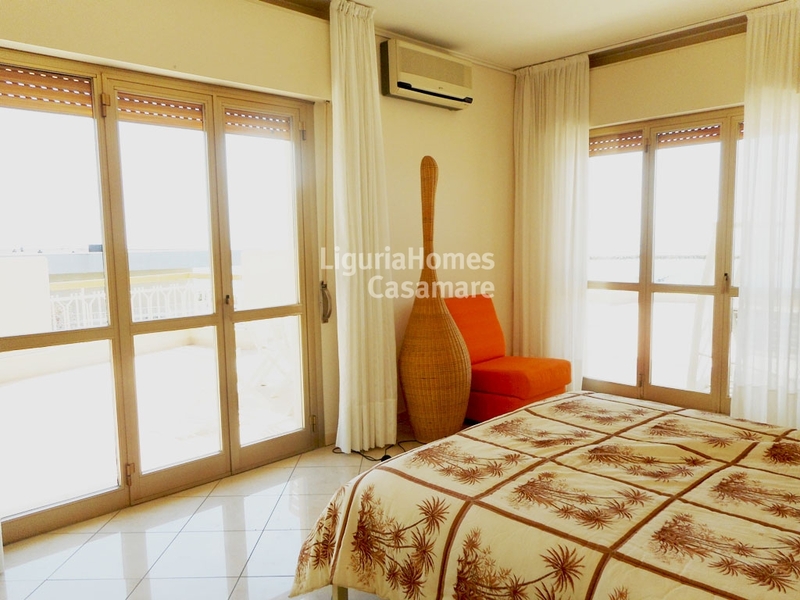 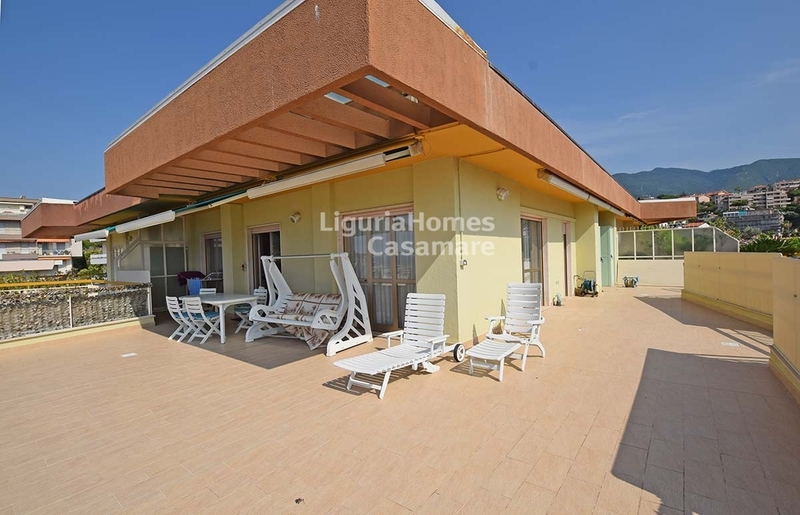 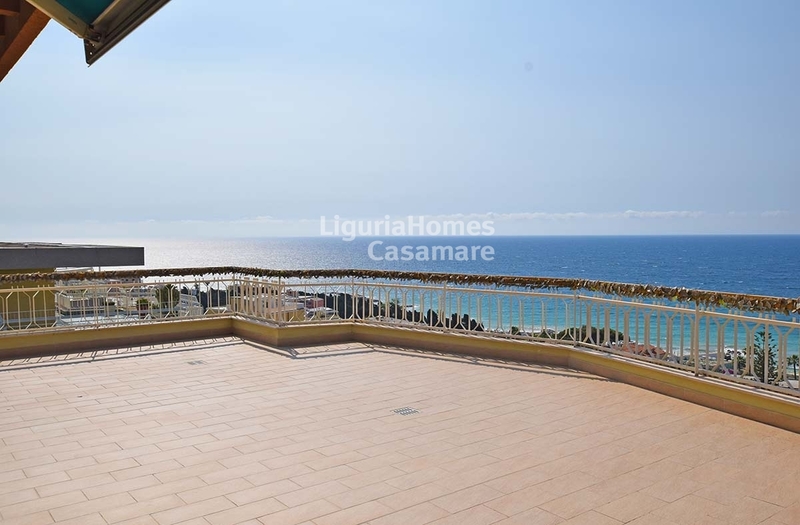 This beautiful Penthouse Apartment for Sale in San Remo consists of: entrance, spacious living room with dining area, kitchen, 2 bedrooms with 2 bathrooms and an outstanding terrace (more than 100 m2) with a spectacular view of the sea. 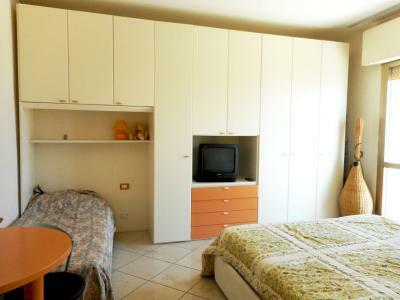 A private double garage and a convenient storage room are also included in price.